The foundation of the Operator 2″ Rigid Collar is mil-spec Heavy Scuba Webbing. A top this first layer, we have sewn 1 3/4″ mil-spec Webbing rated at 7,000 lbs as well as 1″ mil-spec webbing rate at 4,000 lbs to stiffen the design and add the additional strength and support required by our most demanding customers. 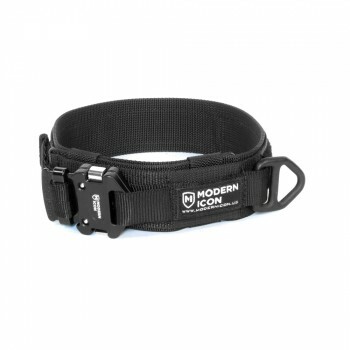 This rigid design allows the handler to use the body of the collar to apply pressure to the points behind the ears to manually “out” their dog from a bite if he becomes unresponsive to your commands. 1″ Steel V-Ring: Low profile option rated to 4,000 lbs. 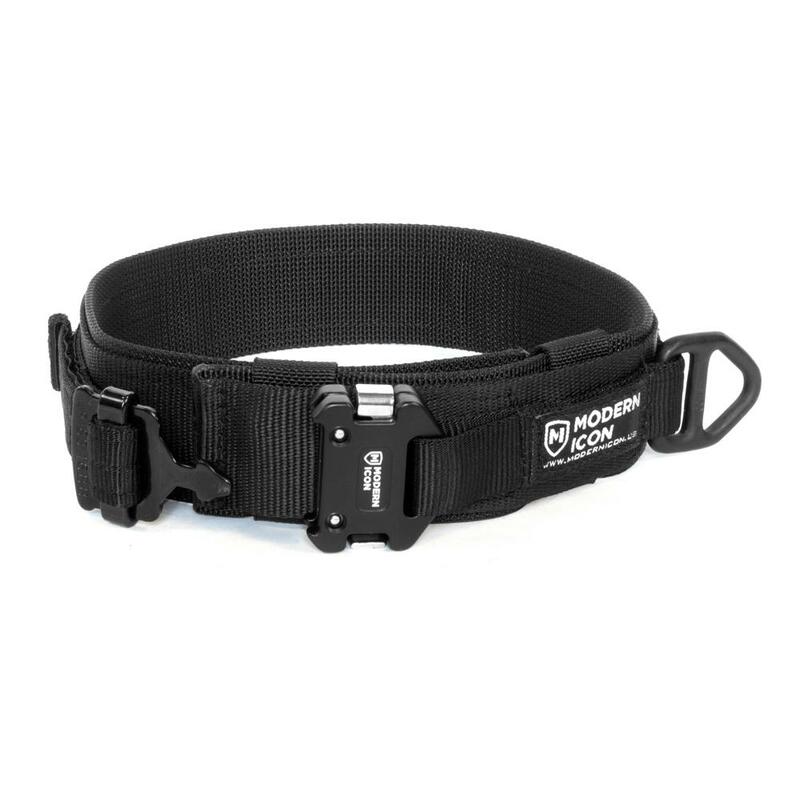 Soft Clip In: Inspired by clip in points found on climbing harnesses, it offers a silent solution that works with all existing clip in options. 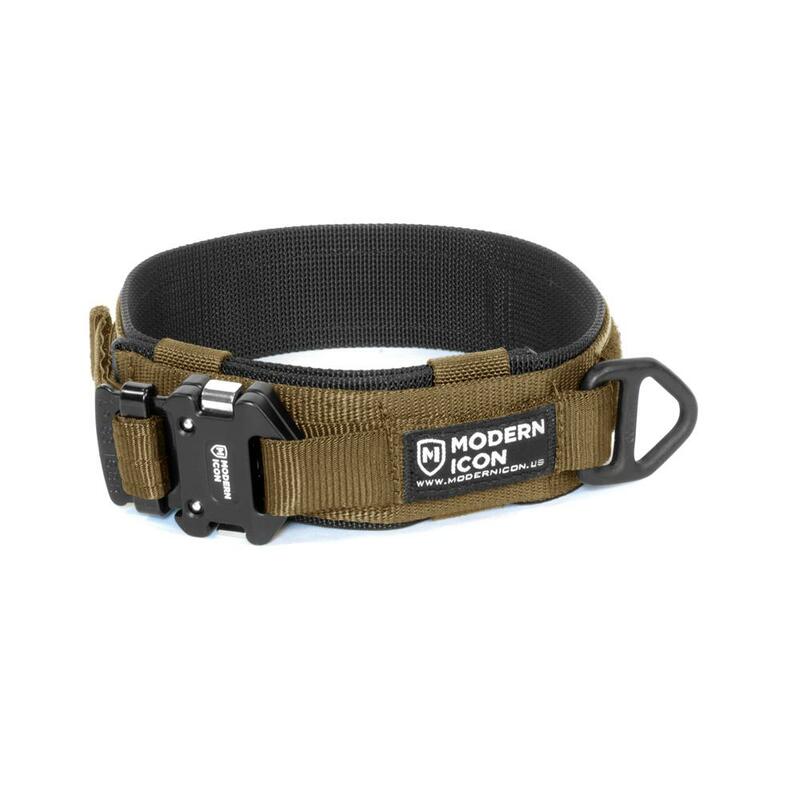 Our 2" wide rigid design provides support to the dog's neck preventing possible injuries and it's rigid nature gives you the option of using it to manually "out" your partner from a bite. Our large climbing rated V-Ring allows the handler to use any attachment option available including large diameter carabiners, and it's flat stock design helps prevent accidental unclipping where pressure on the snaps gate from a round stock ring can force it open. 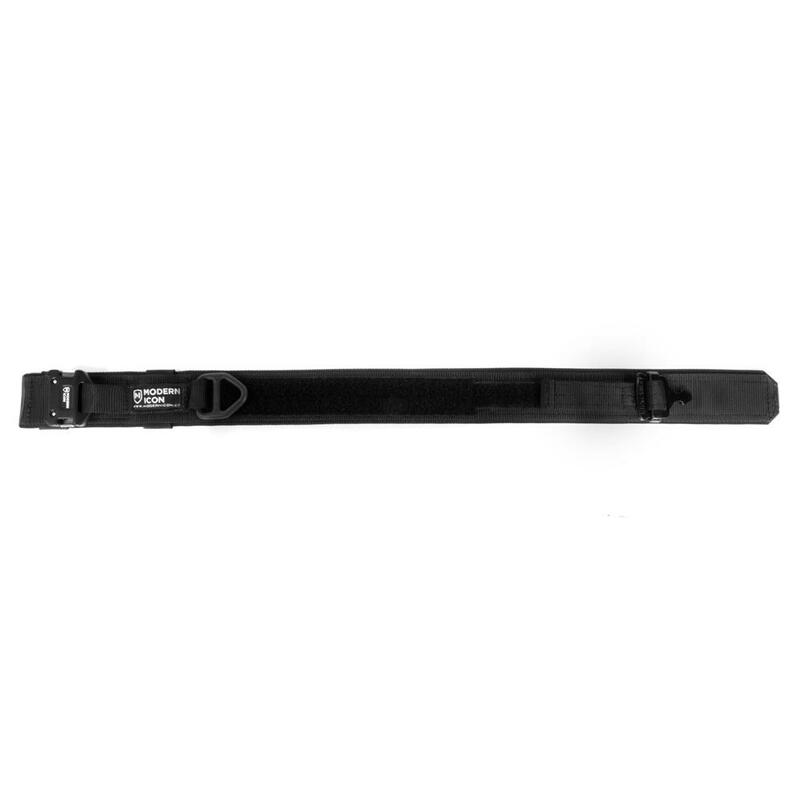 The Klick-Lock Buckle is redundant, meaning both sides have to be depressed to release the buckle and the release buttons are recessed which prevents accidental unclipping. Our large 8" x 1.5" Velcro Panel allows the handler to attach identifying patches as well as accessories directly to the dog's collar.